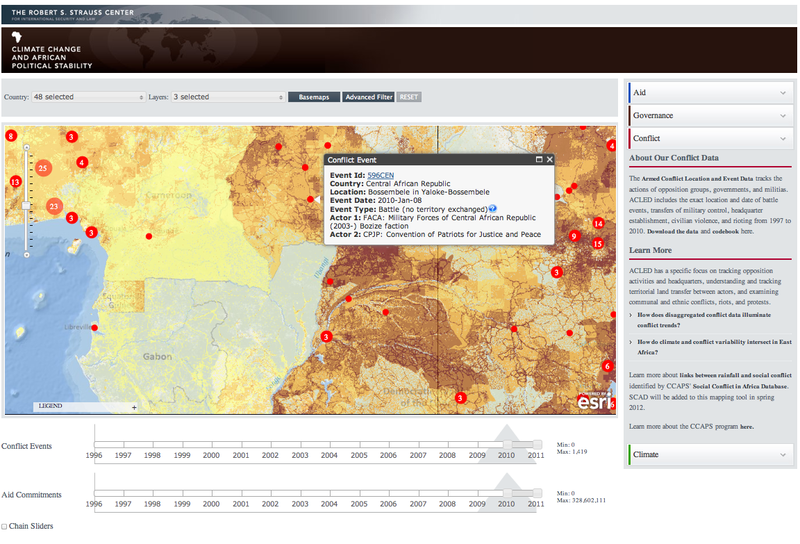 This entry was posted in Crisis Mapping, Humanitarian Technologies and tagged Africa, aid, CCAPS, change, climate, Conflict, data, dynamic, GIS, mapping, Vulnerability. Bookmark the permalink. Patrick – Is this limited to Africa? I’m interested because I’m on the BoA for Team Rubicon – http://www.TeamRubiconUSA.org and think this would be tremendously useful in our disaster relief.recovery efforts around the globe. Please email me. Paul Kor Sene we can resume that in west africa with the lack of rain this last 10 years.we got a late of the rain.for exemple in senegal,we got 2 season the dry and the rain,in this last year we see that the rain come to late the consequence of the climate change.then we have a bad agriculture profit and the people of the village have to migrate to the city.and we got only one city with oppurtunity of jobs but the city is not to big.come the insecurity who is the result of many conflict.but we have aid from other country but the bad governement which affect many country in africa not help…..